Are you interested in studying about fashion, couture, design, the business or cultural side of fashion, textiles, art history and more in an institute overseas? While there are a few institutes in India where you can study fashion, explore your creativity, and learn skills for a bright future, many international schools will help you gain experience and international exposure, inspire you with excellent academics and fun social life while you study abroad. Here is a look at some of the top fashion-related programs from around the world. London's University of Westminster offers a variety of programs in fashion at various levels, including bachelor's courses in Fashion Design, Fashion Merchandise Management, and Fashion Marketing & Promotion etc. Master's courses include Fashion Business Management, Menswear and more. Students of the university, intern with leading fashion companies, including Alexander Wang, Marc Jacobs, Balmain, Adidas, Jeremy Scott, Givenchy and more. The university also offers various scholarships to undergrad and postgraduate students from abroad that you can apply for. Costs for the courses vary. A fashion design in BA Hons at the Harrow campus will cost you around £12,250.00 per year. A range of part-tuition, half-tuition and full-tuition scholarships are available for international undergrad and post-grad students. Visit the university's international student pages for more information, or meet the university representatives at education fairs conducted in major cities. To Apply: Requirements for bachelor's courses is a 70% in most Indian 12th standard exams and good IELTs scores. Application dates vary but are June 30 for undergrad courses and April or October (depending on whether you are applying for September or January courses start) for PG courses. Where better to study fashion than Italy, which is known to be the hub of fashion? The Florence University of Arts offers a series of credit-based programs with its Fashion and Accessory Studies and Technology (FAST) department. 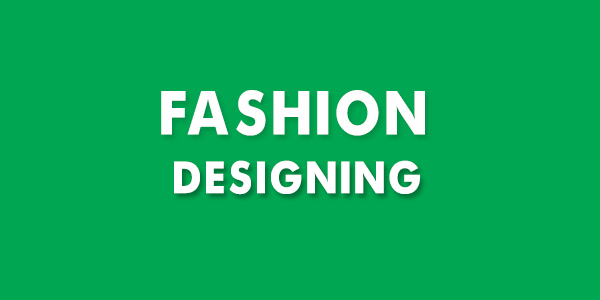 Here you can learn fashion design/accessory design and technology, fashion communication and publishing as well as jewellery design. Florence is a beautiful city with history and art everywhere to inspire you. But FUA has a modern approach to fashion and its other programs, with small classes and a variety of types of short-term academic programs including summer programs, semester programs and more. Every program has different requirements, and undergrad courses can be 1 or 2-year certificate programs. You can check FUA official website for more information on the various opportunities available to prospective students. Leopoldo Poli FAST Accessory Design Scholarship and the FAST Fashion Design Scholarship for a semester. Only tuition is covered by these aids; living and travel costs are to be borne by the student. Milan's Domus Academy is one of the world's top 100 design schools. The academy regularly offers scholarships to international students who want to participate in its master's courses in programs like accessories design, fashion design, fashion management, luxury brand management, visual brand design, fashion styling & merchandising and more. Milan is synonymous with fashion, and when you study at Domus, you can enjoy opportunities to interact with some of the world's most prestigious design companies. Cost of the one-year Master's program (60 credits) is €25.990 tuition and pre-enrollment fees included. The financial aid offered is merit-based and need-based, to be applied for through the Financial Aid application form. Scholarships are offered each year through competitions in partnership with top brands. To Apply: Applications are online. Applications are currently open for the September 2016 program. Refer to Domus Academy's page on International Scholarship Competitions for further details.